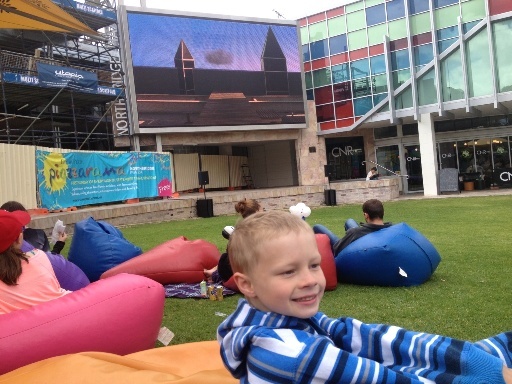 FREE Things You Must Do With The Kids In Perth, Before They Grow Up! 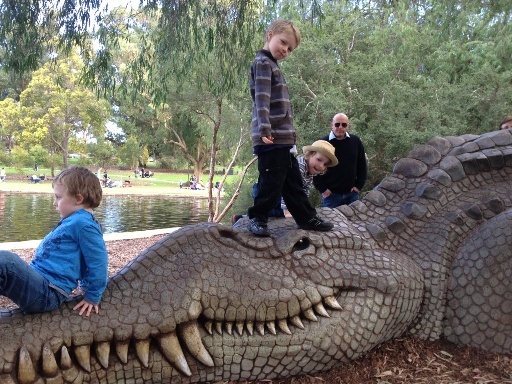 Here are 40+ FREE things you must do with the kids in Perth with kids, before they grow up! 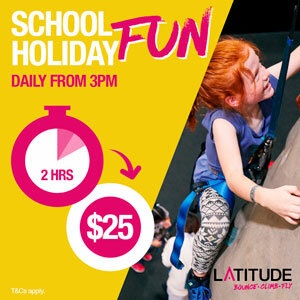 All these things are free or entry by donation.... start ticking off your Perth Kids Bucket List this weekend or this school holidays! 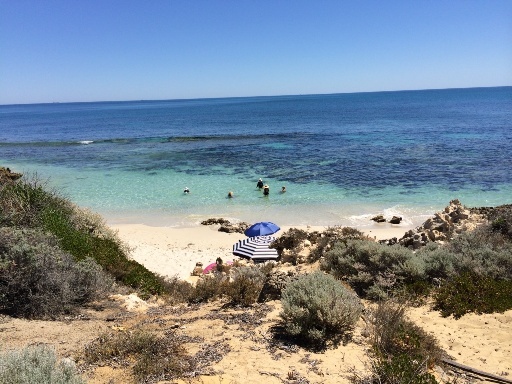 One of Perth's most stunning beaches, with white sand and calm water protected by reef and the clearest, bluest water you have ever seen. 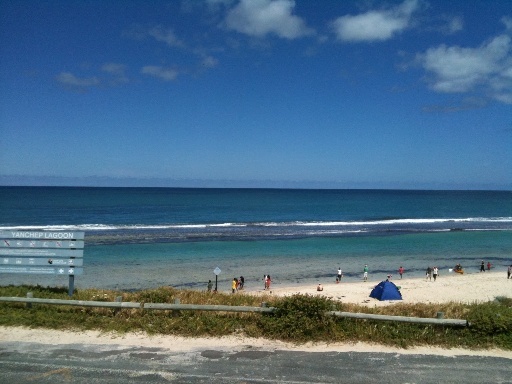 Perfect spot for snorkelling on a warm, sunny day! 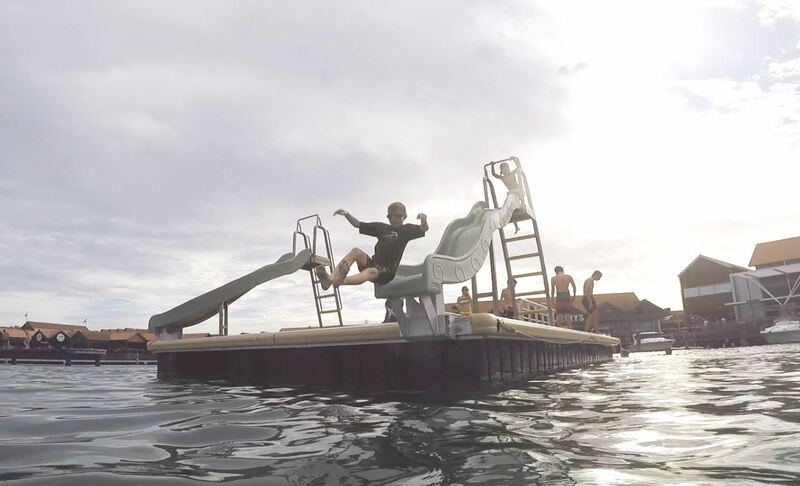 If your kids are strong enough swimmers, they will love swimming out to the pontoon, just off the main beach, for a slide into the water. 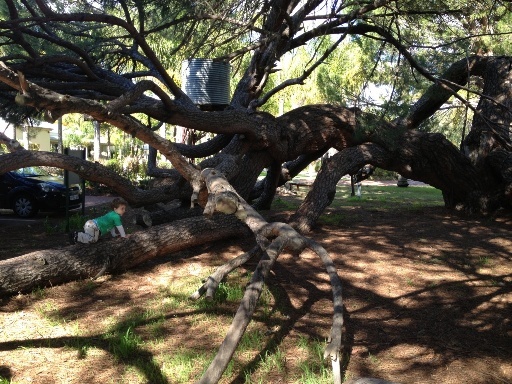 This amazing tree at the front of the Mash Brewery has grown along the ground an is always crawling with kids of all ages enjoying some good old fashioned tree climbing fun. 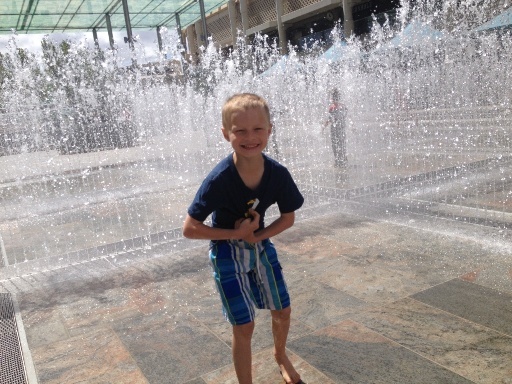 Make your way through the walls of water, and see if you can get to the other side without getting wet. 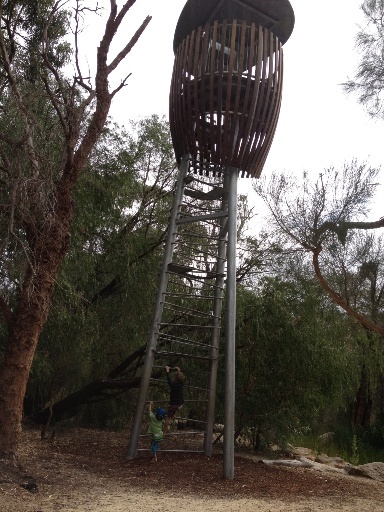 Take the climb to tippity top of the trees and check out what the view is like of our native birds. 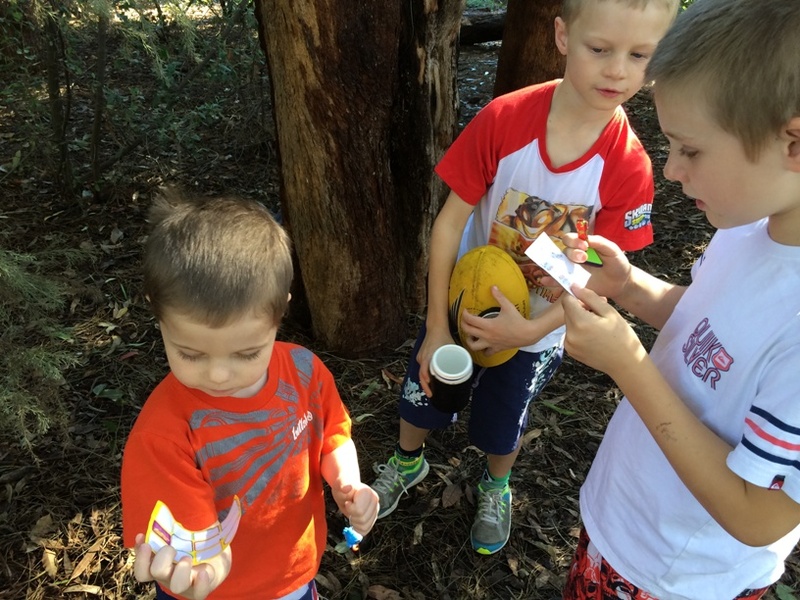 At Naturescape you can also make a cubby house with sticks, wade in the creek and take on the ropes challenge. 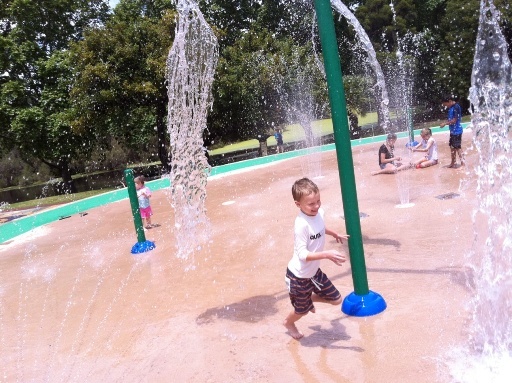 Your kids will love this free water playground on a hot day, its a splash pad with sprays and water cannons - perfect for cooling off when the temperature is soaring! 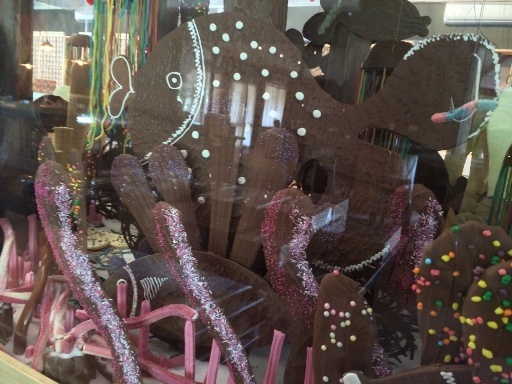 Sample some super yummy chocolate and enjoy a play out on the lawn after checking out the most amazing chocolate display you have every seen. 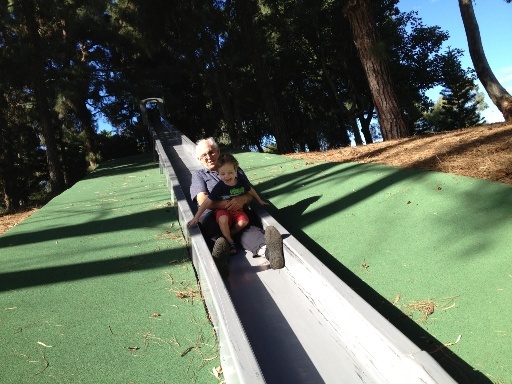 Kids will love this super long slide at John Oldham Park just out of the Perth city. 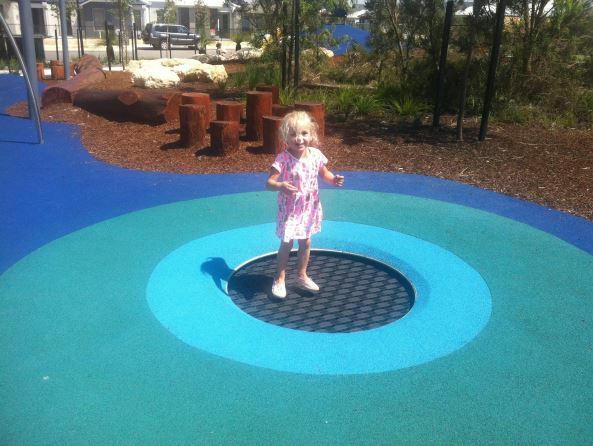 This one is hard for even adults to resist! This massive volcano has several slides attached to it, and "erupts" with steam every 10-15 mins with smoke (water mist) that sprays out the top. 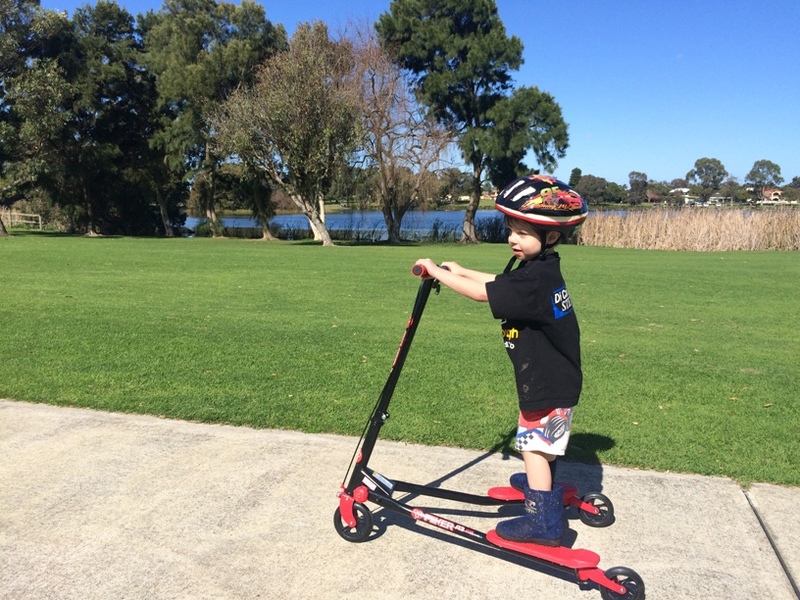 At just 1.2km long, the footpath around Jackadder Lake makes for a beautiful walk or ride for the whole family. 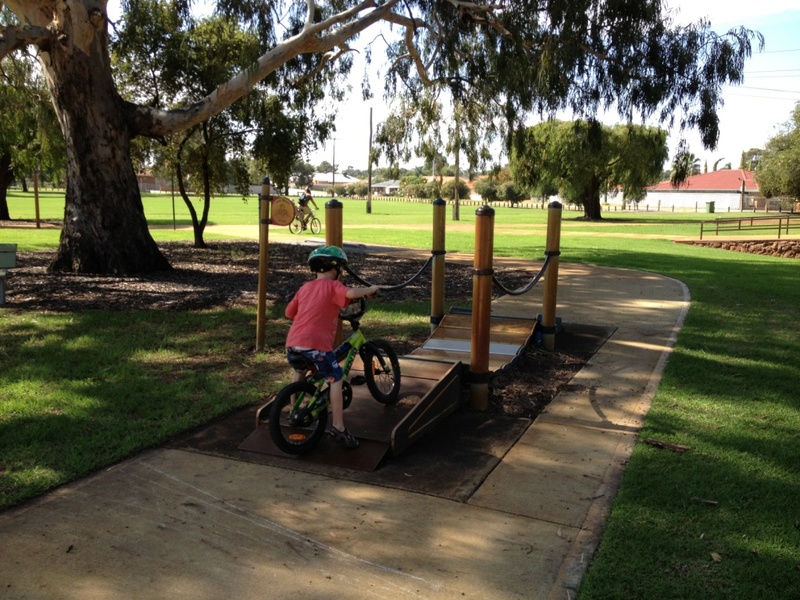 Kids will love the fresh air and all the bird life, not to mention a play at the park after their bike ride. 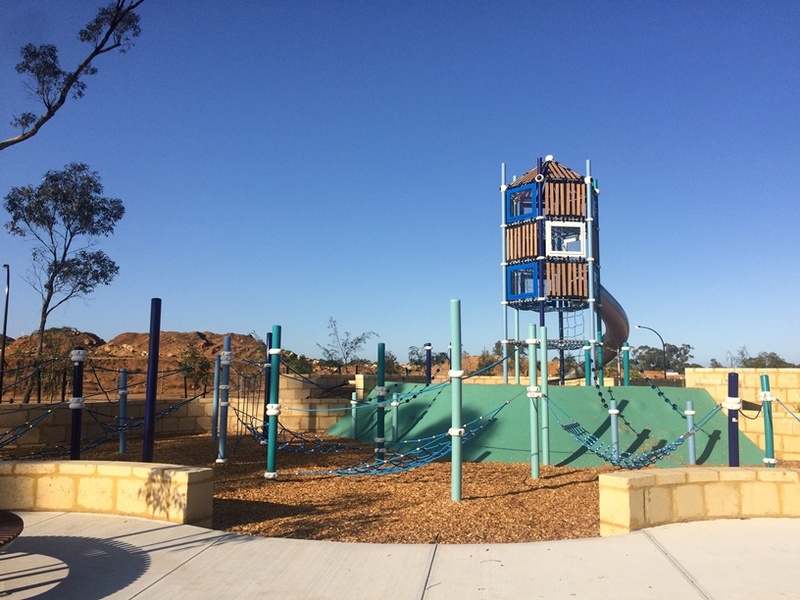 Grab the bikes and head to Peachey Park to take on the 11 adventure bike challenges - theres a junior discovery section for the younger ones too. 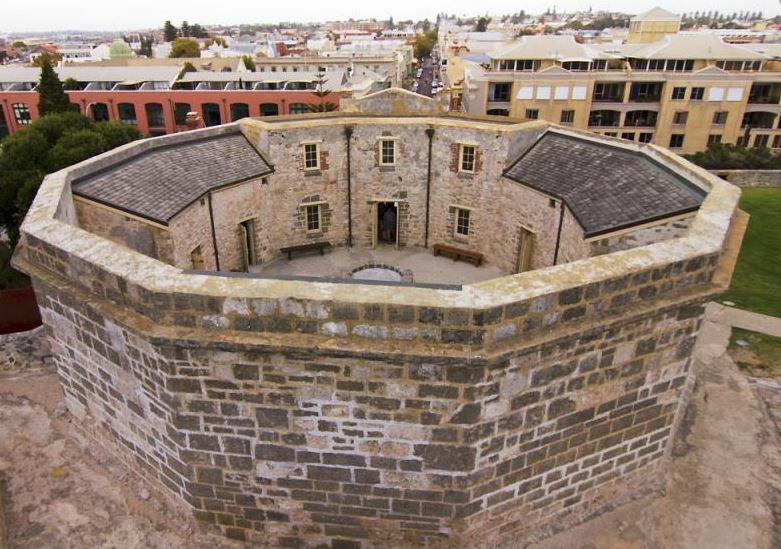 Check out the oldest building in WA, this old gaol building is free to enter daily, and they fire the cannons at 1pm - if you are lucky you might be the one chosen to trigger the shot! 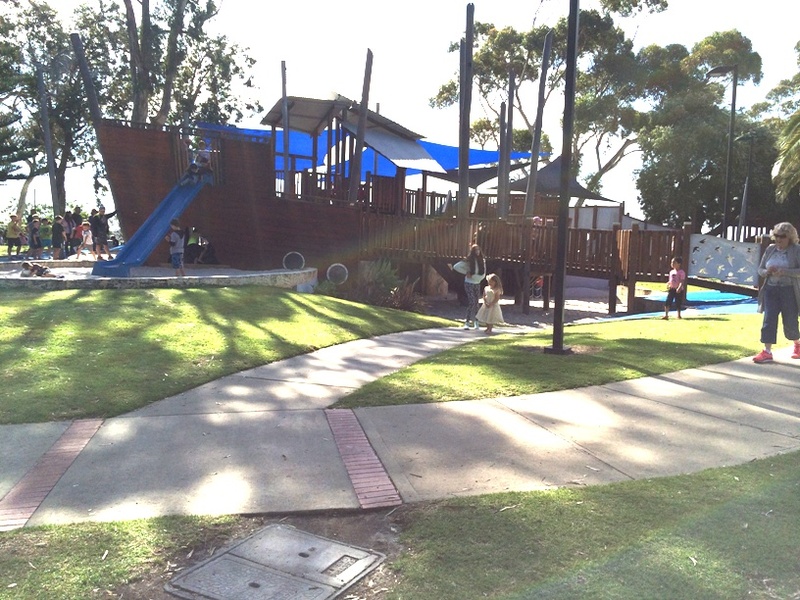 Kids will love playing on this massive pirate ship playground, located up high looking over the beautiful Swan River. Probably one of the most picturesque locations along the Swan River in Perth. 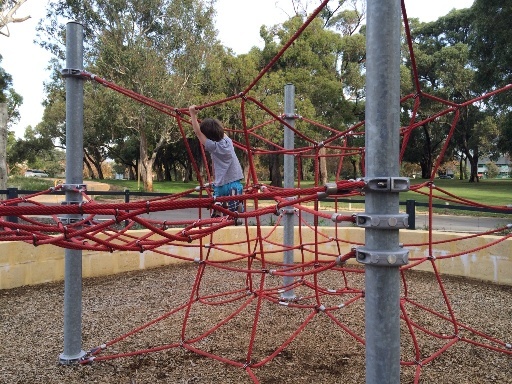 If you kids love climbing they will love the massive space net Millet Park Innaloo AKA Spiderman Park - with one of the biggest space nets you have probably ever seen. 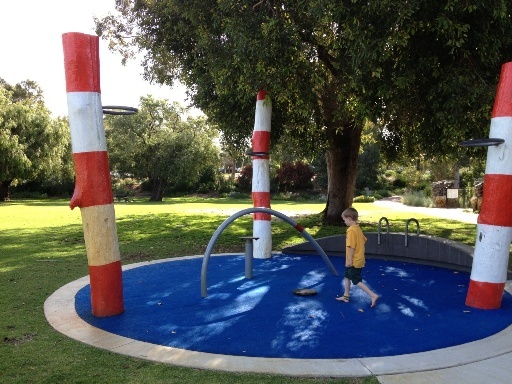 There is also a great space net at Fremantle Esplanade. 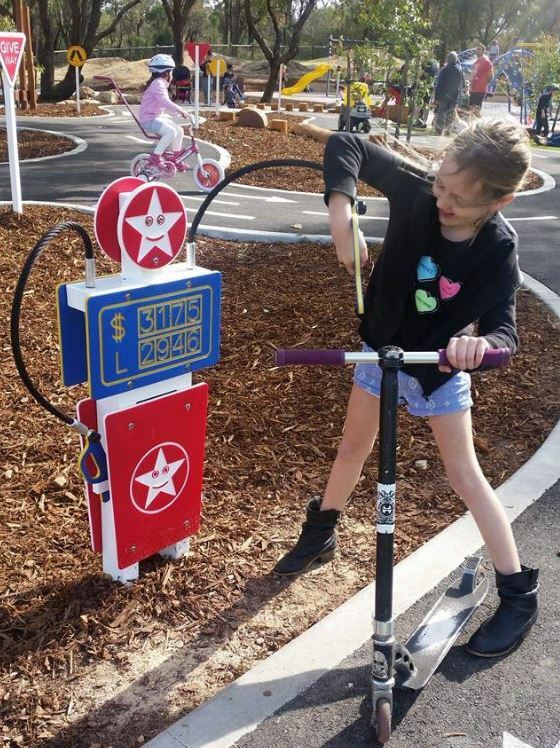 Take along your bikes and scooters and race around the track. Time their laps and record on the board. Walk over the freeway across the bridge and to the end of the jetty - you could even throw a line in and see what you get! Great spot for a splash in the river. 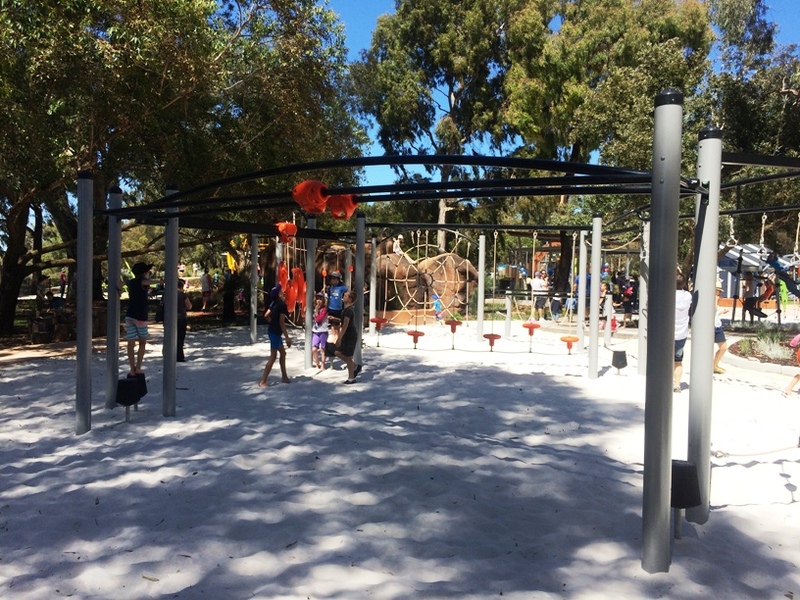 Before you get to Yanchep pull into this estate and have a go on the double cable flying fox - hard one for parents to resist too! Now with great cafe nearby too. 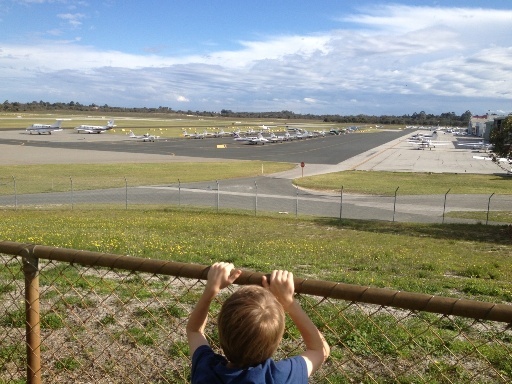 Watch the Planes Take Off at Perth Airport and/or Jandakot Airport. 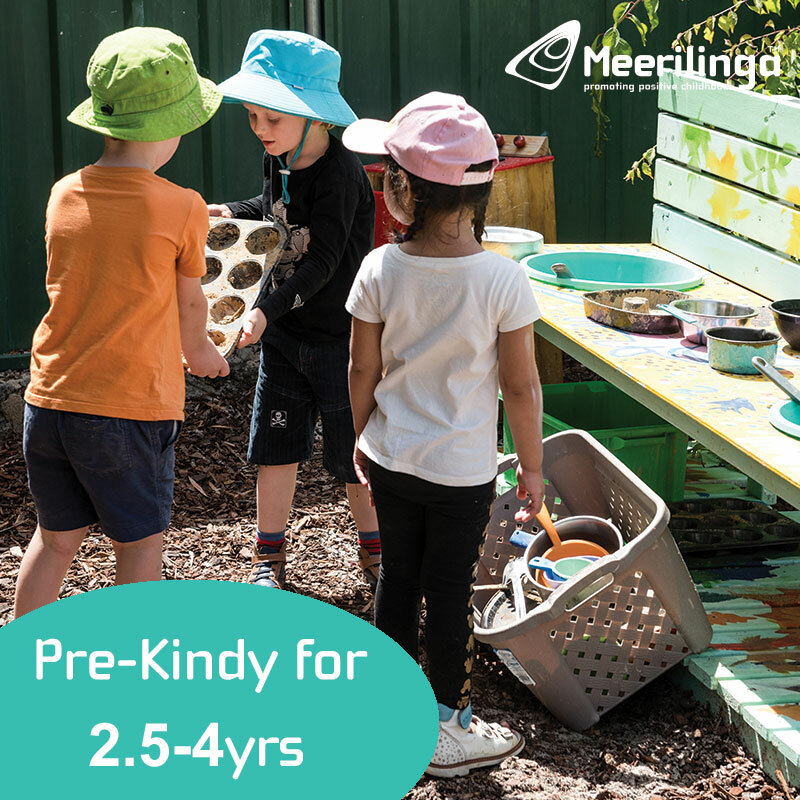 Pack a picnic lunch and watch the planes take off and land at Jandakot Airport or Perth Airport. 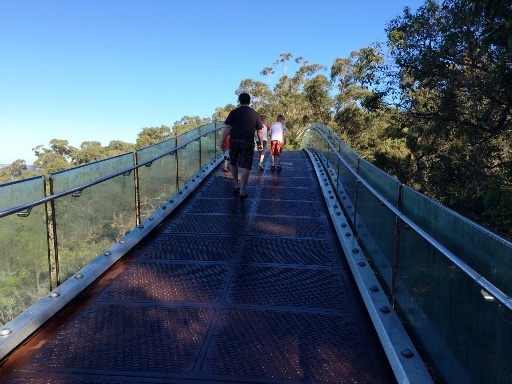 Enjoy a walk across the Lotterywest Federation Walkway that extends 620m through the Botanic Gardens and has presents great views of the city. 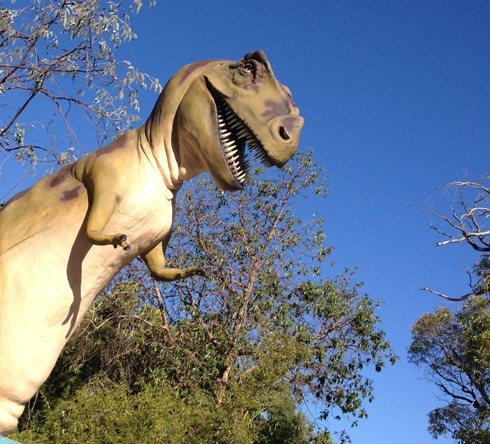 Walk through the beautiful gardens of the garden, bird & fish accessories store and see heaps of life size dinosaurs and other statues of animals and creatures. You wont believe some of the characters you will find living in this garden. 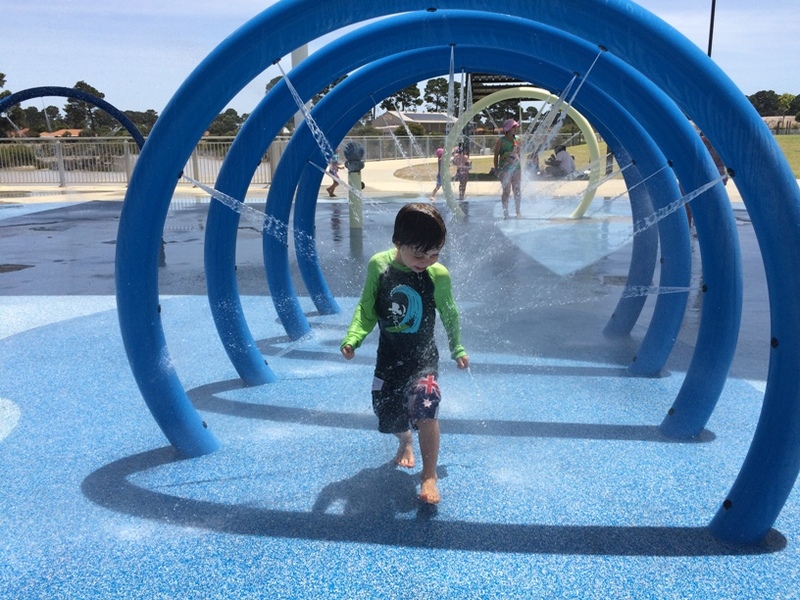 So much free stuff to do, free water playground (seasonal), massive playground, Revolutions Museum (by donation), dog park and more. 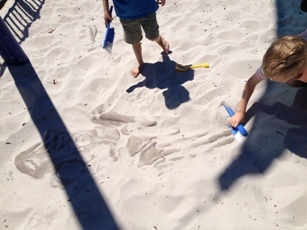 Head out on an palaeontologist's adventure, take your spade and brush along and uncover dinosaur bones hidden beneath the surface of the playground. 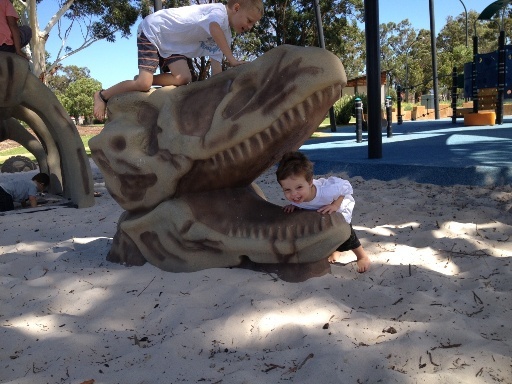 See and climb all over and sit on 4 giant dinosaur bones protruding from the sand in the playground area. Jump in the plane start the engine and fly over Kings Park. 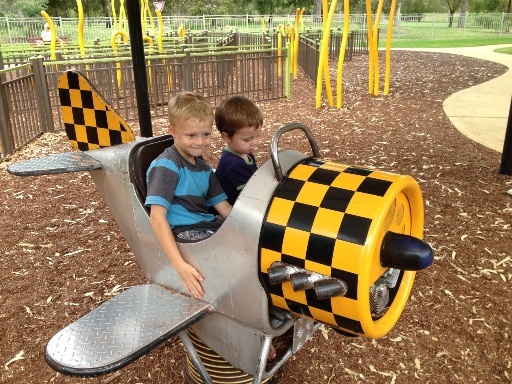 This great little plane is located within this huge mostly fenced playground (designed for under 5's) and the kids will love exploring for hours. 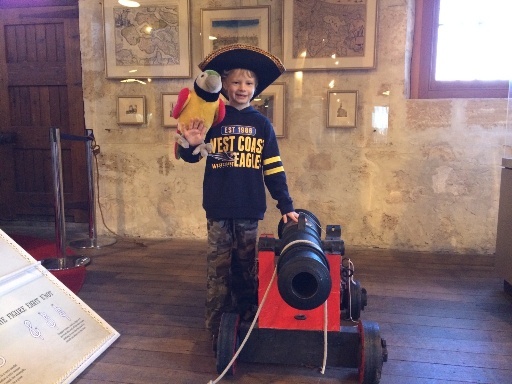 Dress up like a pirate, see and interact with all the pirate artifacts at this wonderful museum in Fremantle. 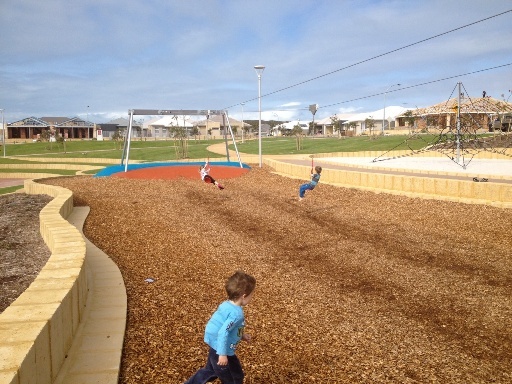 Challenge the kids at this fantastic ropes challenge park - see if they can get from one end to the other without touching the ground. 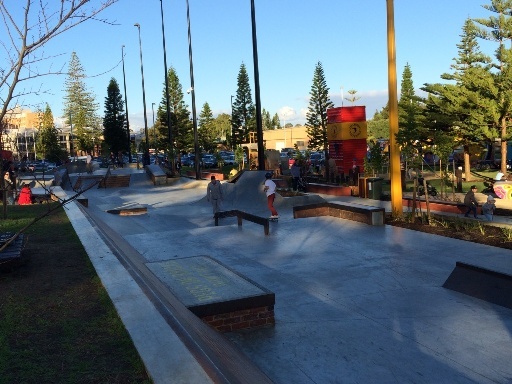 Kids will love riding their skateboard or scooter at one of Perth's newest and largest skate parks. Lots of play features here too to challenge their co-ordination, balance and strength. 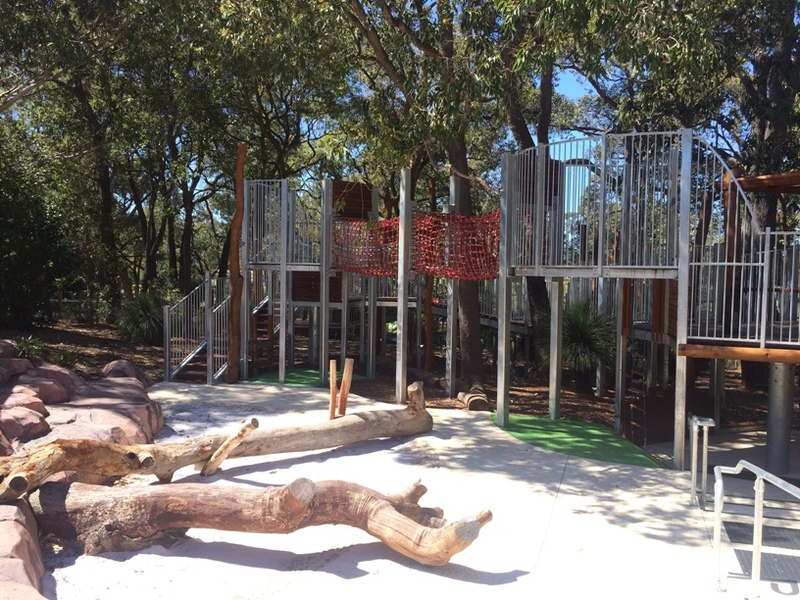 Kids will love the new nature based play upgrade to Variety Place in Kings Park. 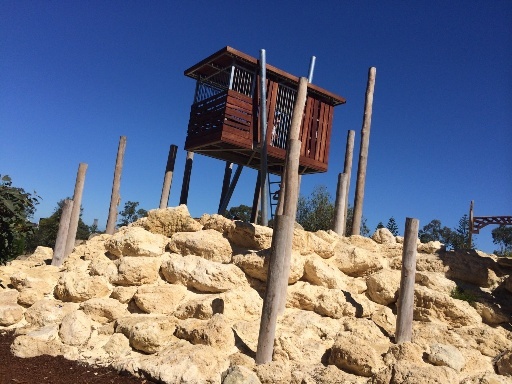 They will especially love climbing to the highest point in this Fort located right up high and overlooks the whole playground. 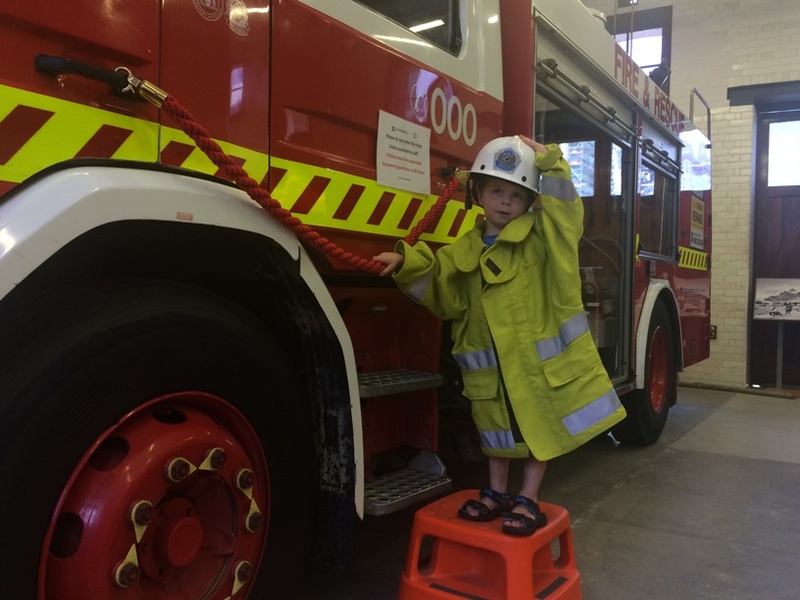 Dress like a fire fighter, see a fire truck, ride the firemans pole and learn all about WA's fire and emergency services past and present. Please note: this is closed over Dec / Jan holidays and is only open Tue-Thurs during the week. 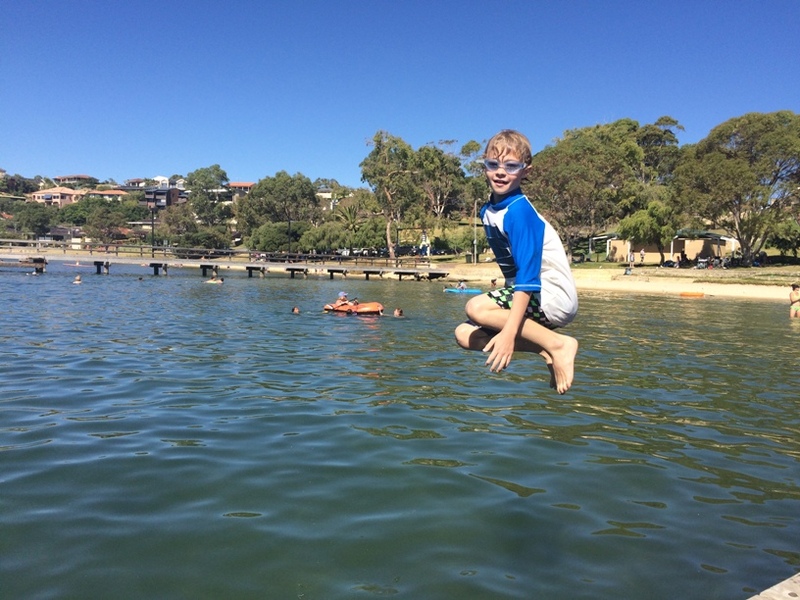 Both Bicton Baths and Matilda Bay are beautiful shady Swan River swimmings spots, where kids can enjoy jumping off the jetty too. Climb the 7m tall jungle climb and slide back down. 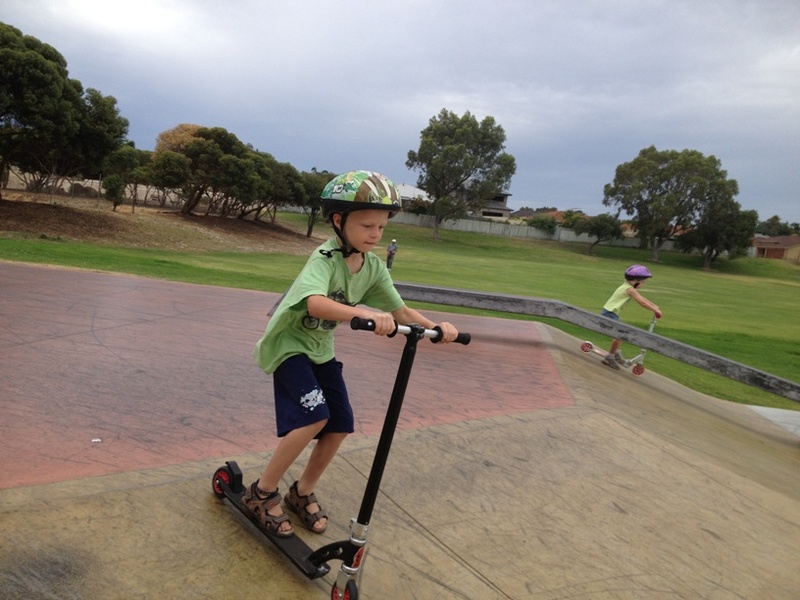 Bring along your scooters, skateboards and bikes, there is a bmx track and mini skate park here too. 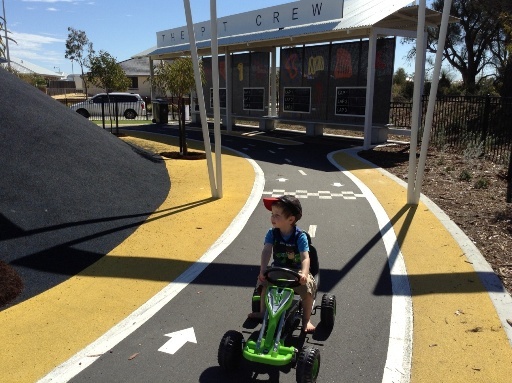 Fantastic little bike track with road markings, parking bays and a fuel pump to keep you going. 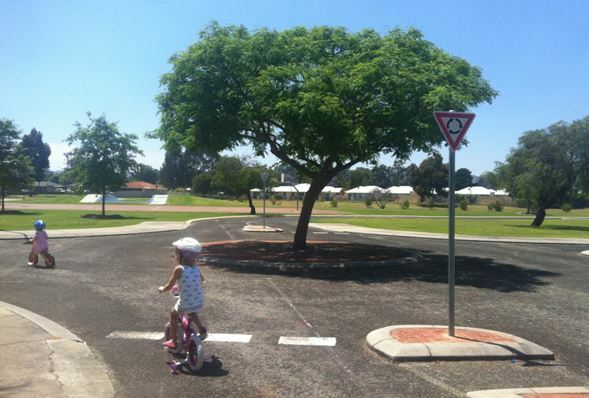 Great way for kids to ride their small bikes or scooters safely and learn some road rules. 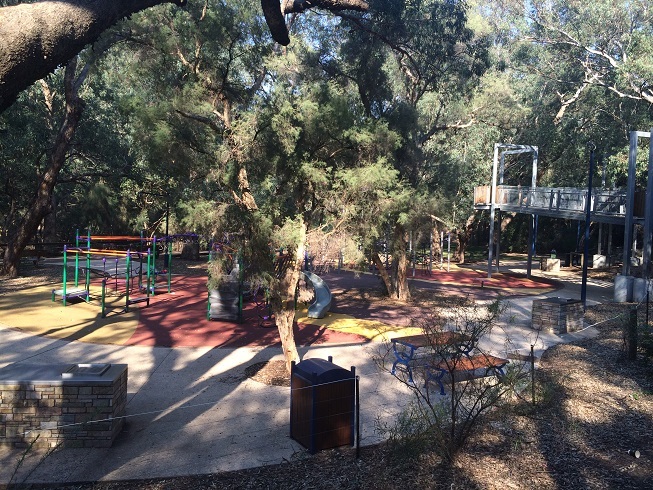 Walk amongst the trees, some thought to be hundreds of years old at the magnificent Kwinana Adventure Park. 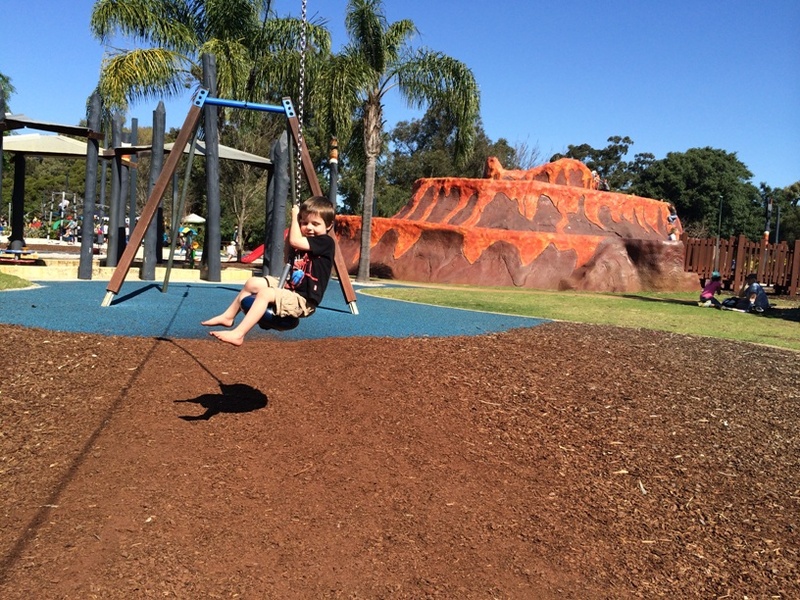 You'll also love the flying fox, nature play and splash pad that runs all year round. 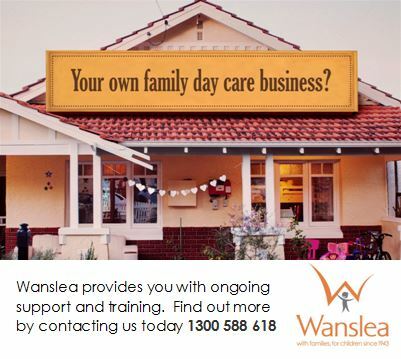 A strength and coordination challenge for the whole family. 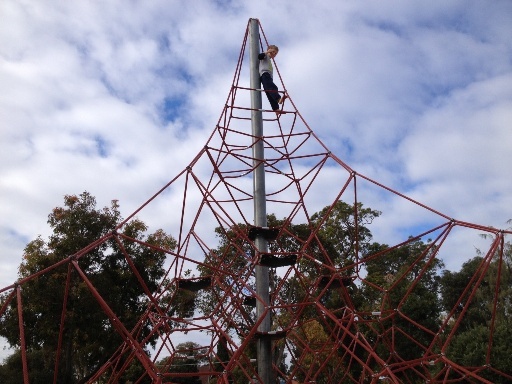 Take on the muscle buster and ropes challenges to see who in your family is the toughest. 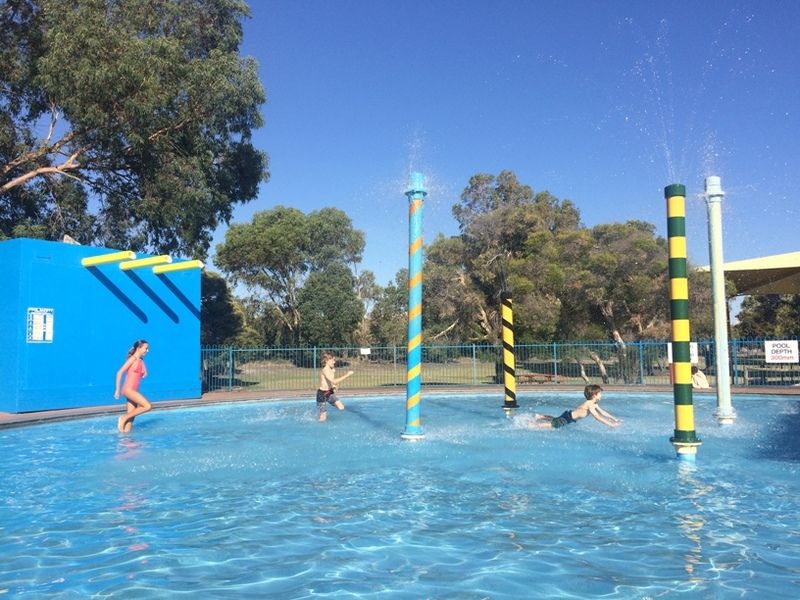 See some of the Perth Kids Bucket List locations on our story with Today Tonight here! 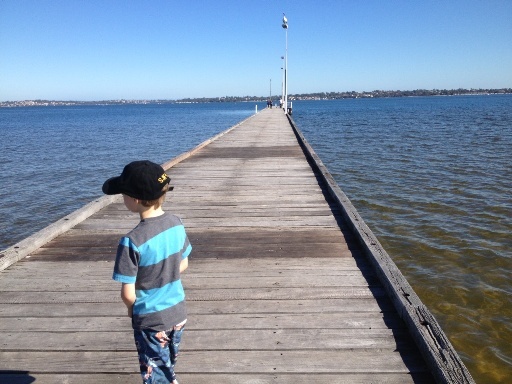 So get to it, if you aren't sure what to do this weekend, get out and about with the kids and get your Perth Kids Bucket List ticked off! Don't forget to tag your pictures with #perthkidsbucketlist so we can see them!